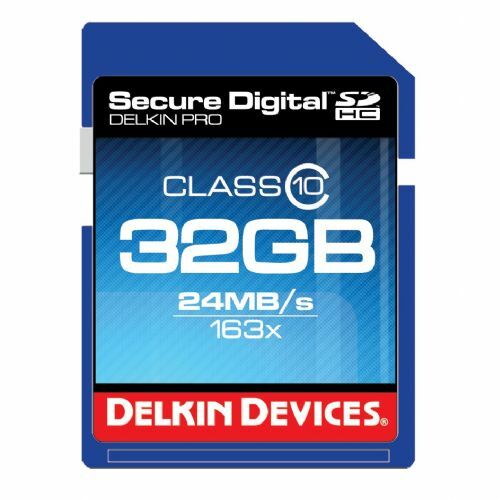 This Delkin 32GB Pro Class 10 SDHC Memory Card is designed to be fast and durable for extensive shooting in the most extreme conditions. Optimized for use in professional grade SLR digital cameras, this SDHC Class 10 PRO card has a speed rating of 163X, with a data transfer rate of 24MB/s. This is perfect for high-resolution images and HD video. The card also features a built-in write-protect switch. 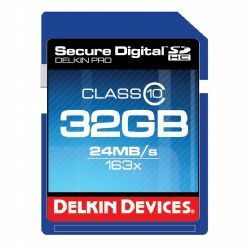 Note: Delkin Secure Digital High Capacity (SDHC) PRO Cards work with SDHC compatible devices ONLY. Please check that your product is compatible with SDHC cards.